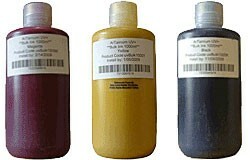 ArTainium® UV+ sublimation ink in bulk bottles for wide format clients only. ArTainium® is known for its reliability and affordability. Save money with ArTainium bulk ink systems while achieving high quality sublimation results, the key to any thriving sublimation business! 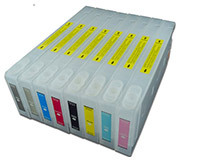 Sawgrass Technologies inks are the top choice for industry leading professionals. ArTainium UV+ systems are designed for the true graphics professional.